"This is a great creamy sauce that's great for fish or chicken!" 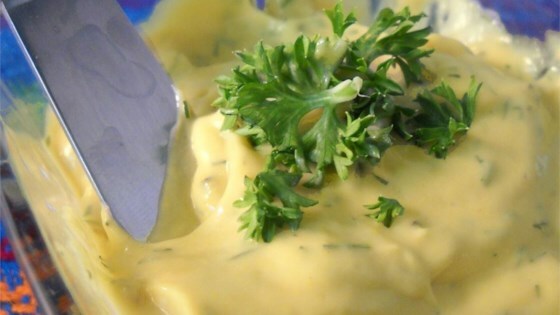 Mix mayonnaise, mustard, lemon juice, steak sauce, and dill in a bowl; season with salt and pepper. Cover and chill for 4 hours before serving. Nice little sauce for fish... easy. The only thing I didn’t have on hand was steak sauce, so I subbed liquid aminos. Makes a great knockoff of McDonald’s breakfast sauce for bagel sandwiches! Did not put steak sauce in it. I used this to mix with roasted garlic fettuccine and it was amazing.